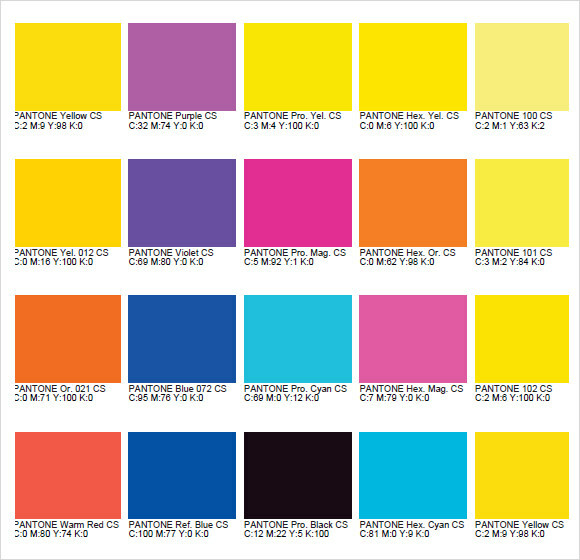 PMS also known as Pantone Matching System is very crucial for industries, which produces products of various colors. 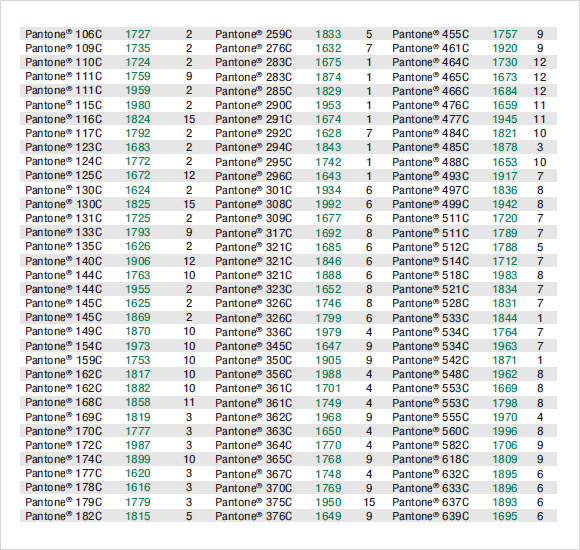 These industries like HTML Color Code Chart need a specific color chart with all the industrial level colors. Be it printing colors or manufacturing paints or fabric colors these chart comes very handy. Textile Industries need these special color charts.All you need to do is just download the Sample Color Chart Templates. These PMS color chart comes in various formats like PDF and word document so that you can share these charts with every essential member of the industry. 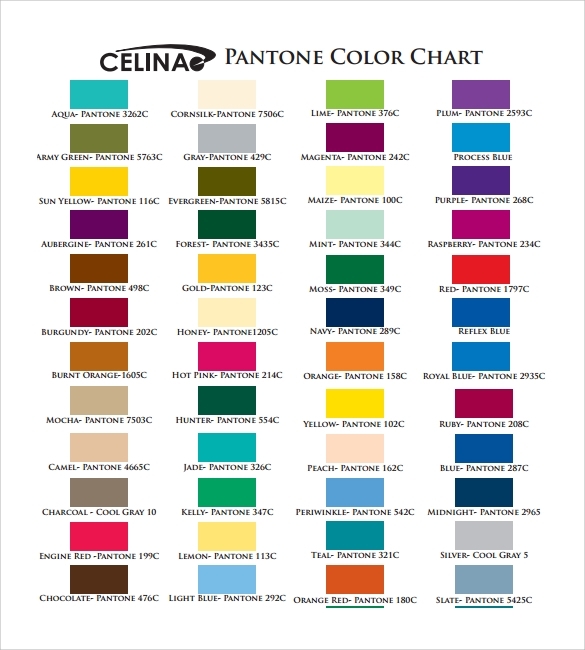 This is a good color chart that covers plenty of colors that can be used in many ways. This option has a block of the color, the name, brand and color code so that it can be properly mixed. This is a good option that will help you to convert a Pantone color code to another one, which is crucial for mixing paint or other colors. This is a good thing to have wherever the colors are created. 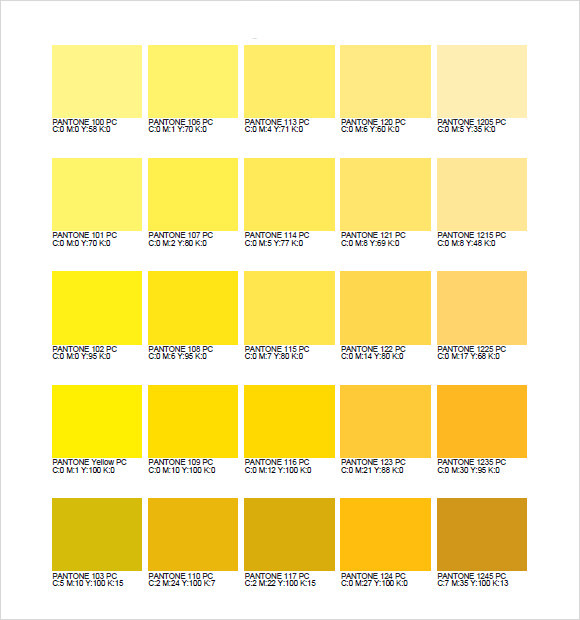 This chart is full of yellows and it tells the code numbers of the shade. It also has the specific mixing requirements for all shades, which is needed to make the correct color. If you want a chart that contains plenty of different shades of the colors, then this is a good option. It also has the color codes for the various shades, which will help you to mix them and choose them. 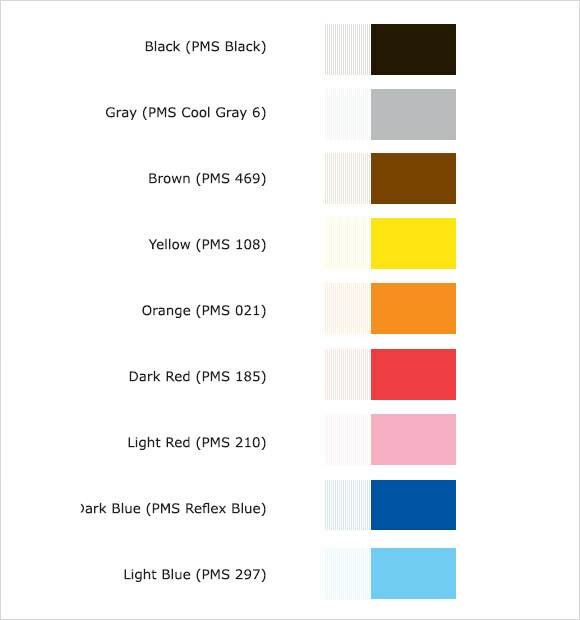 What Are The Reasons To Use a Sample PMS Color Charts? 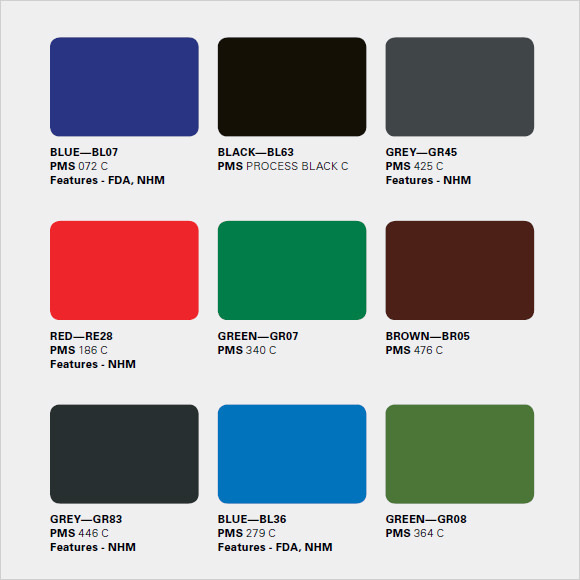 These Pantone Matching System or Sample Pms Color Charts are used often in various industries that produce different colors. These charts can help the client to choose the color for printing colors, fabric or paint and the number helps to keep them separated. Also, there are some conversion charts that help to keep the colors clear and to allow them to be convered to other types. 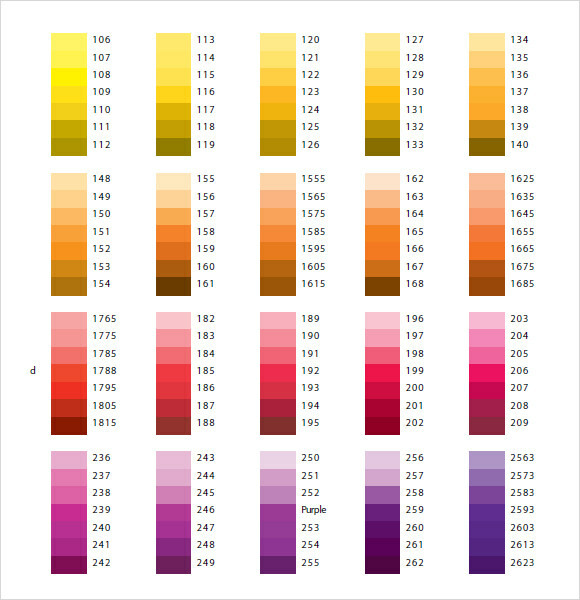 Also, these charts will help to specify the exact equation of colors to be input to get the perfect shade. 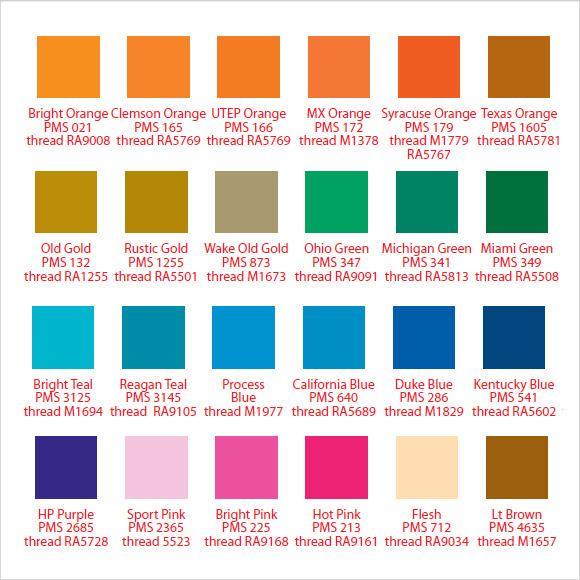 When to Use a Sample PMS Color Charts? These are also great for helping you to convert the Pantone Matching System shades using other brands of paint and even gives you the correct amount of the various colors that need to be input to get the right color. These are crucial and should be kept on hand to help your client make the correct decision when it comes to colors and shades. These charts are extremely simple to use and you can find plenty of them online. However, there are also some that will be given to you by the client, so you can create the perfect color. You can use them to convert the shades from a specific number to another brand or they can give you the specific equation of various colors that need to be given to work the magic. These can be used just for choosing the shade, for conversion purposes and for much more. These color charts are one of the easiest ways to ensure that you are creating the correct color that the client is asking for. There are numerous formats that you can download, so go ahead and find the right one.